Did you love The Guernsey Literary and Potato Peel Society? Then race to the library to get a copy of The Chilbury Ladies’ Choir! 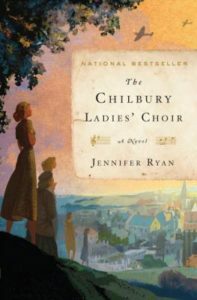 Set in 1940 England, Jennifer Ryan’s debut novel focuses on the women in a small village during World War II. 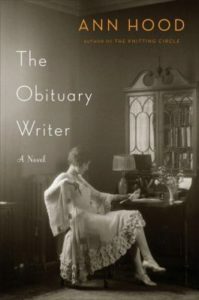 Told through letters and journals from multiple points of view, this charming story displays resilience, hope, and heartbreak on the home front. Try the audiobook, which features an engaging full cast. 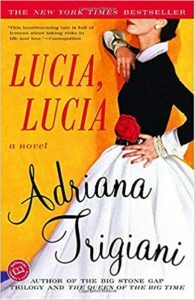 You might also enjoy browsing our lists of epistolary and WWII novels. Liane Moriarty weaves an intricate story around three families and a barbecue they attended. The reader is kept guessing about a significant event that occurs at the party, as chapters alternate between the day of the barbecue and the present, several weeks afterward. Bit by bit, the story unravels from multiple perspectives. 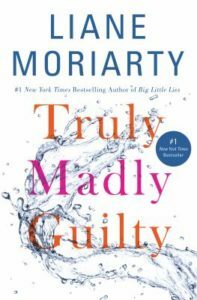 In the process, many layers of family history and psychological characteristics are revealed in Truly, Madly, Guilty. The barbecue seemed to bring out secrets hidden beneath the surface. Life will never be the same for these characters living in the suburbs of Sydney. 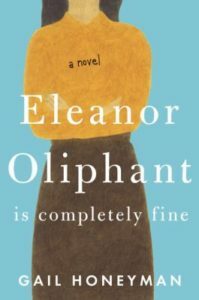 I dare you not to fall in love with the delightfully quirky Eleanor Oliphant. She is charming, logical, and socially awkward. In her early 30s, Eleanor struggles with falling in love, making friends, and connecting with colleagues—and it is slowly revealed that Eleanor’s dark childhood may have stunted her social development. A cross between The Language of Flowers and The Rosie Project, Eleanor Oliphant is Completely Fine will tug at your heartstrings. Gail Honeyman’s debut novel is set in Scotland, which will be immediately apparent if you listen to the audiobook (the narration by Scottish actress Cathleen McCarron is spot on). You’ll laugh and cry as Eleanor’s orderly solitary life is turned upside down. This powerful debut novel is about two American military nurses during WWII. Jo, who was raised in New York City, is in France trapped behind military lines in a makeshift medical tent refusing to leave her six critical patients as bombs fall around them and the enemy moves closer. Kay, a small town girl who was raised in Pennsylvania, was at Pearl Harbor and then at Corregidor in the Philippines, where she was taken prisoner and tries to nurse her fellow inmates with no supplies, no food, and sometimes no hope. I thought their brave, heroic story was told in a compelling straightforward manner. 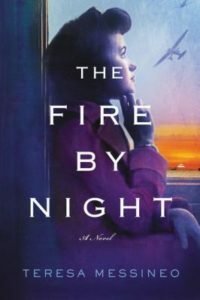 Teresa Messineo’s The Fire by Night highlights a little told role of women in WWII. For more novels set during WWII, check out our book list. In 1863, sixteen-year-old Placidia agrees to marry Gryffth Hockaday after knowing him for a very short time. He is a soldier on leave, so while he goes back to fight for the Confederacy, she travels to his South Carolina farm to look after it and be a mother to his young son, Charles. Being alone and isolated, living with only the slaves and no other family leaves Placidia vulnerable. When Gryffth comes home after the war is over, he finds that she has been accused of having a child while he was gone and then murdering the baby. Placidia finds herself arrested, in jail, without her husband’s support. What really happened while Gryffth was gone? 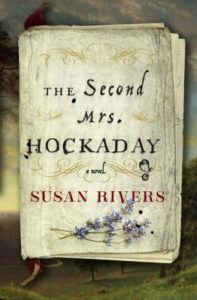 The Second Mrs. Hockaday by Susan Rivers is a perfect read for those who enjoy historical fiction (especially Sandra Dallas) that highlights the everyday lives of women. Another great book by Diane Chamberlain! She has a remarkable talent for developing complex, relatable characters facing difficult situations and telling thought-provoking stories that make me feel a whole host of emotions. 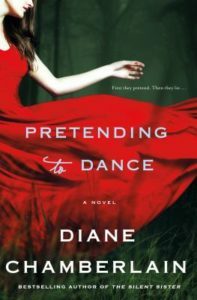 Pretending to Dance centers around Molly who, with her husband, is hoping to adopt a baby. This process brings up painful memories from Molly’s past which she has kept hidden from her husband. The story deftly switches between present day and Molly as a rebellious 14 year old. Her very close relationship to her father, Graham, who is a paraplegic from MS, is handled with sensitivity and humor. Graham was my favorite character, with inspirational wisdom and loving insight into life. There are unexpected twists and turns throughout the storyline, and many issues raised in a compassionate manner. In 1938, Marianne von Lingenfels makes a promise to watch over the families of German resistors. As the war comes to an end, she finds herself taking in Benita and her son, Martin, and Ania and her two sons, Anselm and Wolfgang, at the family’s run-down castle. The three women struggle to survive on their own as they come to terms with the enormous toll the war has taken on them. Taking place over almost sixty years, the novel explores the lives of everyday Germans during the war, a view that hasn’t really been explored at length in popular fiction. 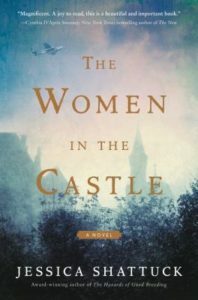 The Women in the Castle by Jessica Shattuck is an absorbing read that would be great for discussion. For people who enjoyed Lilac Girls by Martha Hall Kelly and other female-centered World War II fiction. In Ann Hood’s novel, a clever storyline follows two women’s lives some fifty years apart against a backdrop of significant events in American history: the 1906 earthquake in San Francisco and its aftermath, and the 1960 presidential election and inauguration of JFK. At one point in The Obituary Writer, their two storylines merge into one. Vivien and Claire are not contemporaries, yet they share certain struggles and dreams. Can one woman’s regrets bring closure and happiness to another woman? With the women’s movement and all the changes of the 20th century, did individual women’s lives change that much? Even in the 21st century, do women continue to feel trapped in traditional roles? This is my first Emilie Richards book, but it won’t be my last! It’s a captivating and emotional story about two women, Cecilia and Robin, who met as children in foster care and became “forever sisters.” Cecilia is a superstar singer-songwriter who agrees to do a documentary film on the foster care system. She asks Robin to join this project as a photographer, and to share their experiences together. Throughout this endeavor, we learn about the foster care system through the eyes and experiences of these two women. More importantly, we learn about the strength of the human spirit to overcome past traumas and develop into loving, successful adults. 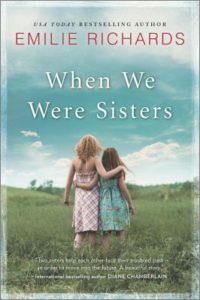 Anyone who enjoys complex characterizations and explorations of social issues will enjoy When We Were Sisters.